Back to 1988, a year where Brett Wilcots & Jim Stivers formed Gherkin Records. A label that was short lived, (1988 – 1991) Gherkin Records managed to press fourteen classic Chicago house releases changing the Chicago sound from jacking Acid, towards a deeper, well rounded house sound. 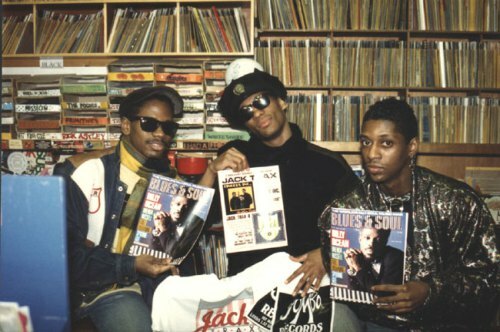 The label was also fortunate enough to have the legendary Larry Heard on board who co-produced under the alias ‘The Gherkin Jerks’. Both opening tracks on either side, Don’t Dis The Beat & Midi Beats, certainly contain the tribal, cannon drum patterns you would find in Berlin’s minimal techno production today. Off key computer sounds & synth blips dominate Tar Disc & Acid Indigestion. Tar-Disc can be describe as Acid Indigestion’s well structured, melodic brother, whilst Acid Indigestion is drivey & chaotic with licks of 909 snares. Finally, Parameters once again showcases Mr Heard’s incredible talents which is also sampled in Felix Da Housecat’s 2009 release Jerk It. Re-released on Heard’s Alleviated Records in ’02 with better mastering and pressing. This is the rarest & most wanted record on the Gherkin label, as is the “1990″ EP by Gherkin jerks. Check out other sub-labels from Gherkin Records including, Mixdown Records, Resound Records, Viola Da Gamba & Total Spectrum Records.